Mara first visited Nepal in 2003 to conduct research for NASA on the effects of oxygen deprivation on the brain, and ended up spending the next 10 years running logistics for Everest expeditions. 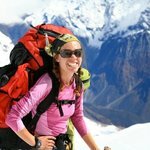 Today, she continues to organize and lead trips for adventure seekers all around the world: in the Andes, Alps, and the Himalaya. Andrea Vidler is cofounder of LocalAventura, a marketplace focused on connecting travelers to providers of local, authentic experiences in Latin America. In this podcast interview Andrea talks about how LocalAventura is approaching this market opportunity. 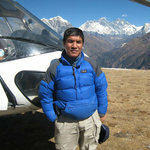 Ngima Dorji Sherpa runs his travel company Nepal Myths and Mountain Trails out of Kathmandu, Nepal. 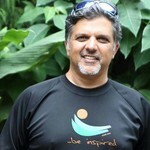 Ngima was born in a remote village called Pangom, in the Everest Region of Nepal. As a young boy he started work as a porter, carrying heavy loads for trekkers, and then worked his way up to become a guide, before he started his own adventure travel company in 1997. 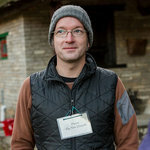 A pioneer in sustainable development, Ben Ayers came to Nepal as a college student in 1998 and has been living and working there ever since. In 2006, he joined the dZi Foundation, which runs grassroots projects in eastern Nepal focused on long-term development through the mobilization of local communities. 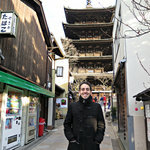 In the eighth episode of the kimkim podcast we speak with Andres Zuleta who runs Boutique Japan. 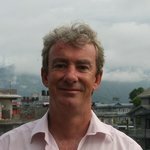 Boutique Japan began two and a half years ago and is a modern day travel company focusing on providing unique travel experiences in Japan. Andres shares with us what brought him to Japan, how he started his own travel company and the challenges that come along with it. In the seventh episode of the kimkim podcast we speak to Croatia travel expert and writer Jeanne Oliver, an American based in France, dedicated to writing about travel in Croatia. 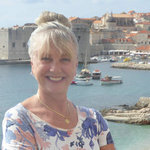 Jeanne has been writing about travel in Croatia since 1996. She wrote the first Croatia guidebook for Lonely Planet and now runs her site, Croatia Traveller with itineraries, sights, and recommendations for travelers. She shares how Croatia has changed over the past 20 years, tourism in Croatia, and the challenges of running her own travel site. Andro Tartaglia runs Meridien Ten, based in Split, Croatia. Meridien Ten is a boutique travel operator focused on authentic, local travel experiences such as cycling, hiking, kayaking and even yoga. Their signature trip is a one week cycling trip from Split to Dubrovnik along the Dalmatian Coast. 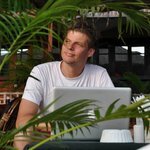 Douwe Osinga is a travel entrepreneur, currently based in Berlin, Germany. Douwe founded 2 travel companies: World66 (sold to Internet Brands) and Triposo. 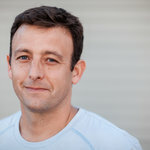 In between his entrepreneurial efforts he worked at Google, where among others he was part of the team that launched Google Wave. In this podcast interview we talk about Douwe’s path to becoming a travel entrepreneur, how the ideas for World66 and Triposo were born, and about some lessons learned from the launch of Google Wave, among others. 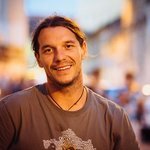 In the fourth episode of the kimkim podcast we speak with Mads Mathiasen, one of our local experts for Nepal. 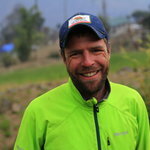 Mads hails from Denmark, and currently splits his time between Dubbo, Australia and Kathmandu, Nepal. He runs his own adventure travel company, Himalayan Trails, and is also running a mountain biking company, called Unique Trails, and Vespa Valley, an innovative provider of Vespa tours in Kathmandu Valley. In this episode Mads shares his path to Nepal and his approach to building a travel company under challenging conditions in Nepal. 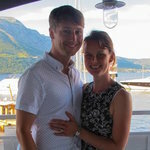 On our third episode we speak with John & Rachael, who left their 9-to-5 jobs in the UK to start a new life and their company Korcula Explorer in Croatia. They help travelers plan their trips in Korcula by focusing on giving them the local experience, which include wine tasting, culinary, and boat tours. Kim Bannister runs her adventure trekking company Kamzang Journeys out of Kathmandu, Nepal. 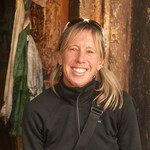 Her specialty is multi-week, boutique-style treks to remote areas like Upper Dolpo, Upper Mustang, Leh, and Mongolia. In this podcast, the very first kimkim podcast, Joost Schreve, kimkim's Cofounder and CEO interviews Kim. We talk about her life as "nomad", her experiences on the remote trails of Nepal, and how Kim gave rise to kimkim's name.